Along with the 1 file per object is a generated file which runs all the files. 5. 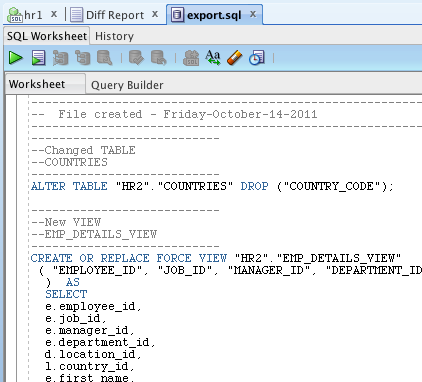 Worksheet - A new worksheet is created and the sql is put in. 6. Clipboard - As it suggests, straight into the clipboard for pasting into anything else. Please check out the exchange and log any requests you may have. We do listen !